Treat your feet to this leather Dr. 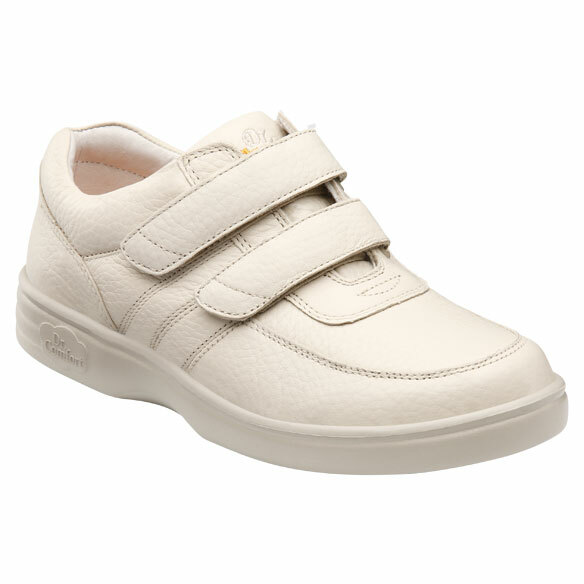 Comfort Collette Casual Comfort shoe. 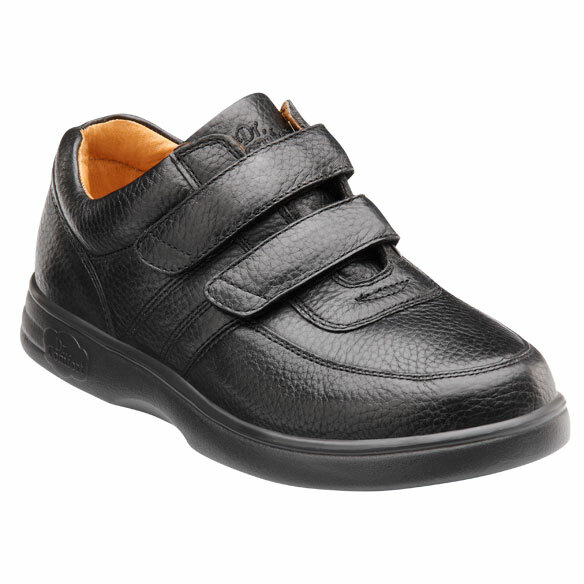 Top-grain leather upper with double hook-and-loop strap provides all-day comfort and support. With its lightweight design and deep, cushioned fit for extra stability, these orthopedic shoes are sure to be your go-to shoe for any occasion. Suitable for diabetics, this premium-quality shoe is perfect for staying active while managing moderate swelling, neuropathy, pronation/flat feet, bunions or hammertoes. 7/16" deeper than standard shoes for extra stability. 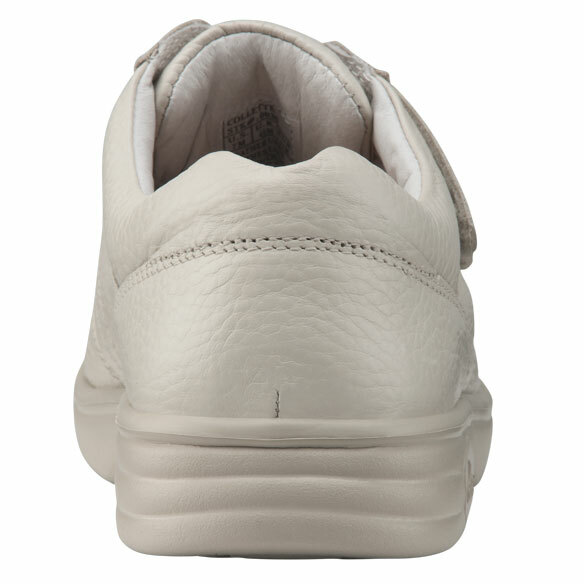 Seamless, padded lining, collar and tongue reduce friction. Firm heel counter provides extra medial and lateral support. Protective toe box helps guard against stubbing. 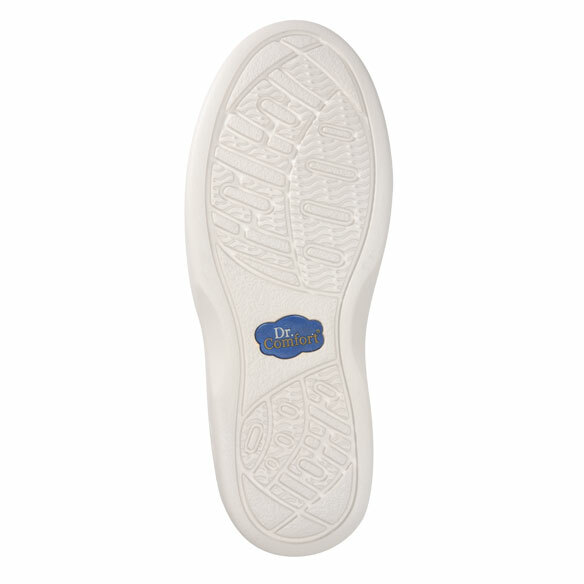 Non-skid, lightweight outsole adds safety to your step. Whole and half sizes 5 1/2–9 1/2; 10 and 11 whole sizes only. 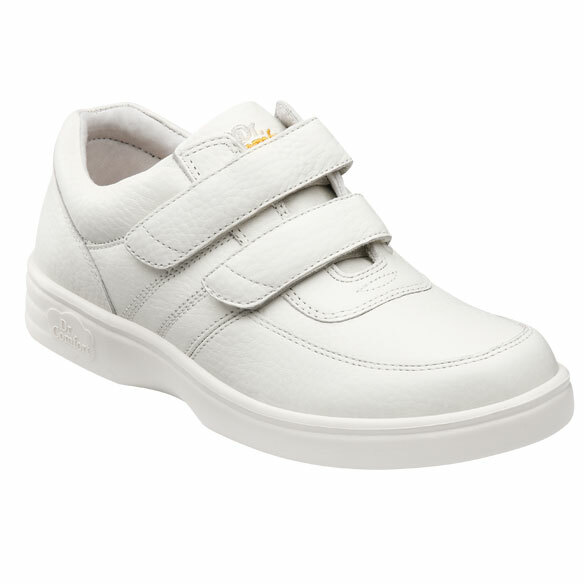 Diabetic shoes available in 3 widths: medium, wide, extra wide. No express shipping; allow 2–3 weeks for delivery. For comfort and hopefully a nice wide fit?? Going to see if this fits my edema feet. do you carry these for men? BEST ANSWER: Thank you for your question. At this time we do not have this type of shoe in mens style of size. We apologize for any inconvenience.